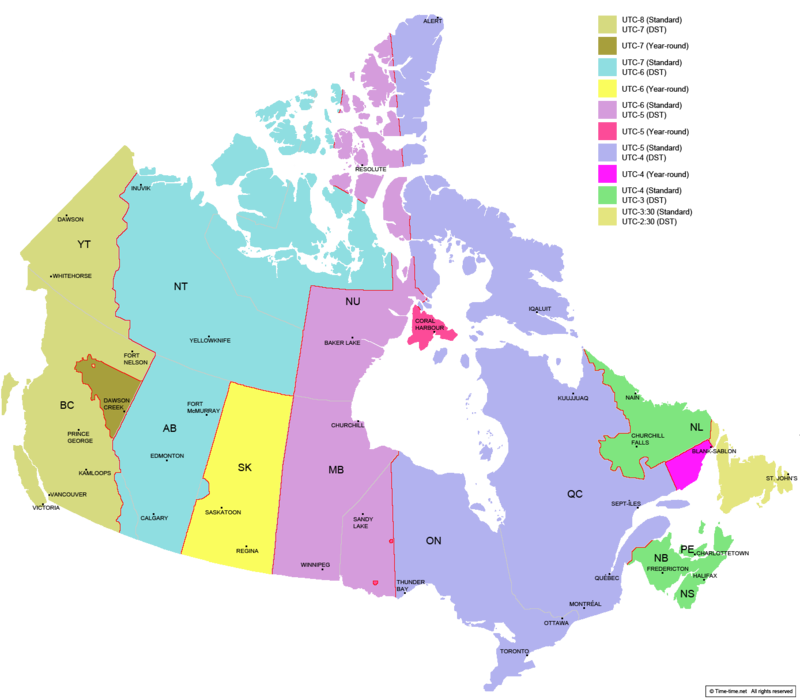 Below is a time zone map of Canada with cities and real live clock. The red lines divide the country in its time zones. 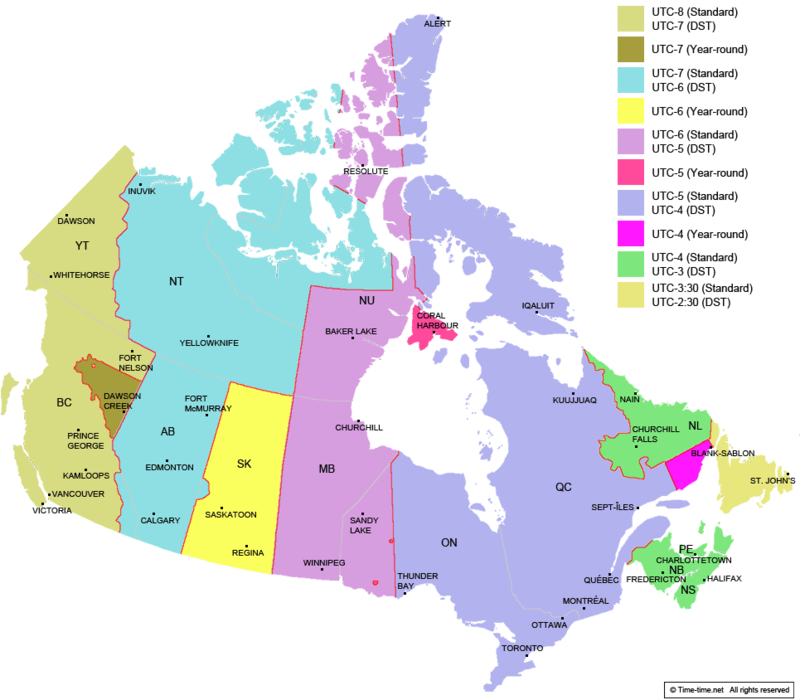 The areas in Canada that do not follow daylight saving time are northeastern part of British Columbia, Saskatchewan, Southampton Island and east of the Natashquan River part of Quebec.